Rahul completed his PhD at the Transportation Research and Injury Prevention Programme at the Indian Institute of Technology, Delhi. 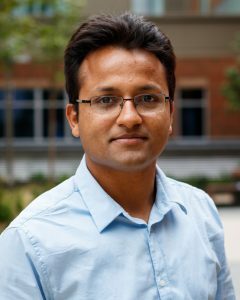 With a transport planning background, Rahul developed methods of data collection and modelling to estimate public health burden of transport, with Delhi as a case study. His main thesis outputs include a) data collection and statistical methods to estimate vehicular characteristics of on-road modes, b) dynamic bottom-up traffic emission inventory model, c) on-road exposure of PM2.5 pollution in 11 transport modes in Delhi, and d) space-time integrated PM2.5 exposure assessment at population level. Goel, R. (2018). Modelling of road traffic fatalities in India. Accident; analysis and prevention, 112, 105-115. Goel, R. Gani, S. Wilson, D. Guttikunda, S.K. & Tiwari, G. (2015). On-road exposure of fine particulate matter in multiple transport micro-environments in Delhi. Atmospheric Environment. Vol. 123 (A), 129-138.